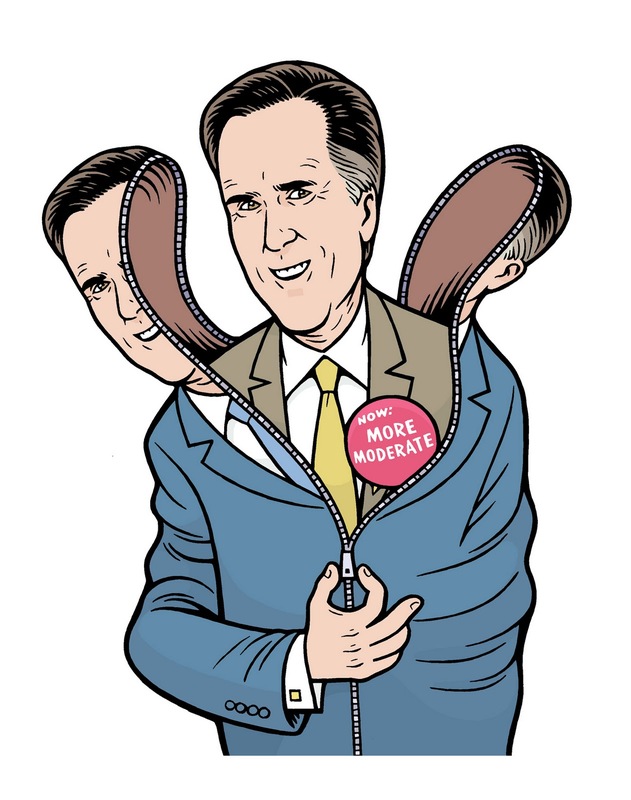 FOUR ROMNEYS: with Mitt Romney looking ever more like the Republican front runner, I thought I’d post a few of my Romney illos, (some very recent, some not-at-all recent). First is a cover illo for Boston Phoenix in February 2010, art direction by Kristen Goodfriend. 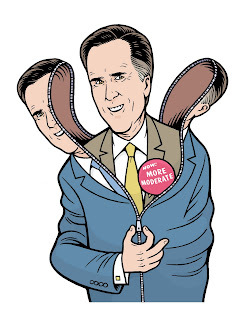 (while looking through my files, I came across another Romney-themed Boston Phoenix cover illo from 2007, but that one has a Romney likeness that’s so far from the mark, it’s making me cringe. 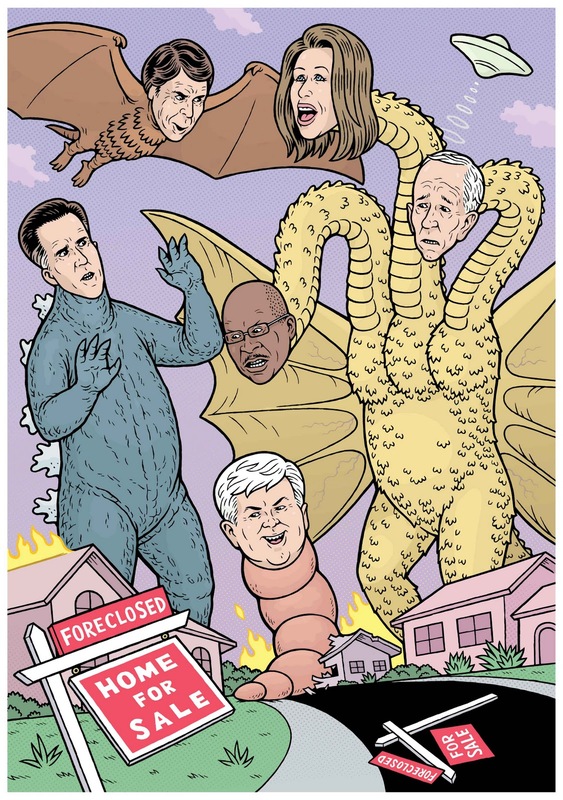 Sorry, Kristen!). 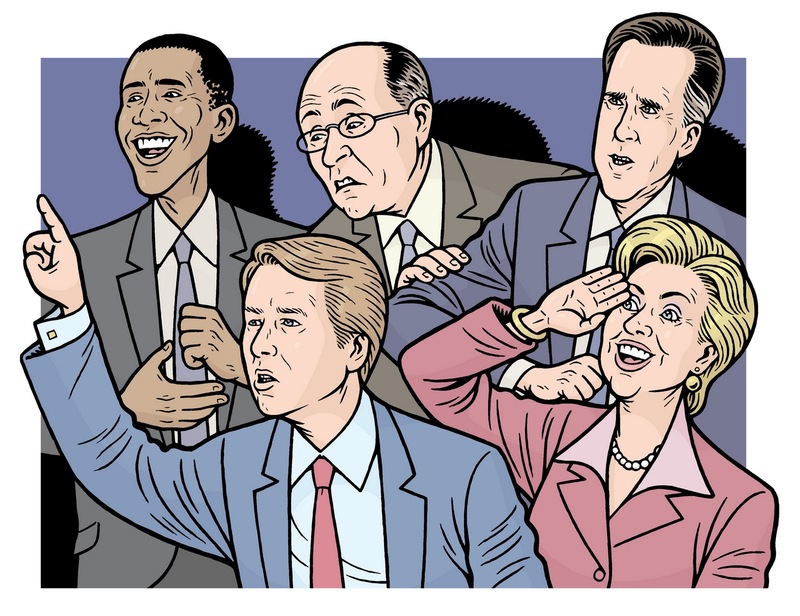 The second one features Obama, Edwards, Giuliani, Hillary and Romney from the 2008 Presidential election. 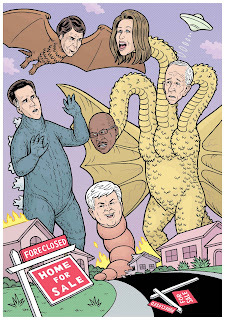 This was for The Stranger in September of 2007, art direction by Aaron Huffman. 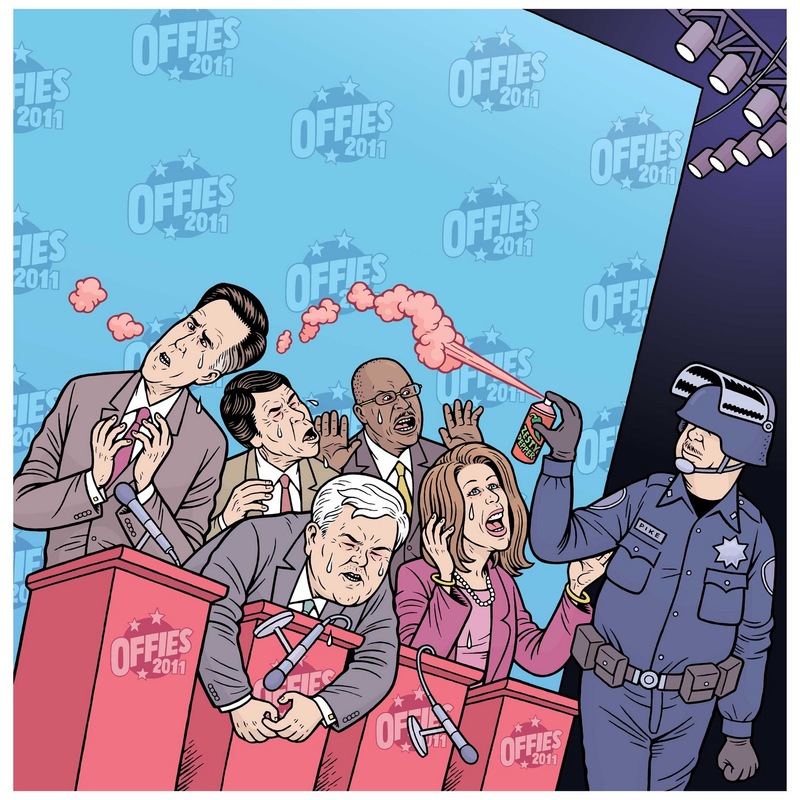 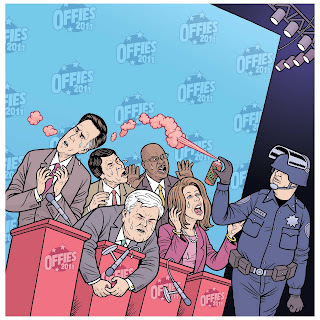 The last and most recent of the four illos features the GOP’s 2012 Presidential candidates getting a snootful of pepper spray on the cover of the SF BAY GUARDIAN, January 2012, art direction by Mirissa Neff.